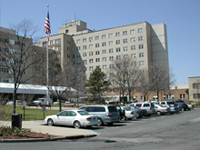 Scope of Work: Professional Systems Engineering, LLC (PSE) provided engineering services for the design and construction of a new administration building for the West Bergen Mental Health Facility in Ridgewood, NJ. PSE designed the Tele/Data infrastructure for the facility’s enterprise IT network and VoIP phone system including the structured cabling system for a highly-available IP network and Wi-Fi antenna layout for optimal signal coverage. PSE’s mental health facility designs for Tele/Data infrastructure provide a physical backbone capable of supporting state-of-the-art information technology systems, while a complement of security systems work together to help ensure safety for all consumers and staff. An RFP was prepared after construction started to procure high-speed network switches, 802.11n Wireless-N Wi-Fi access points, IP telephones and a modularly customizable and expandable VoIP telephone system. PSE also designed the electronic security systems including IP video surveillance, intercom, paging, staff duress, and access control. These systems were integrated for streamlined control from a touchscreen control workstation. Standalone Audio/Visual systems were designed for the conference rooms while infrastructure for a building-wide television system provided cable television or blu-ray video to the facility’s waiting, media, and group rooms. A sound masking system was designed for hallways and adjacent offices for privacy and HIPAA compliance.